Building a Better Colorado submitted five ballot initiatives that would make it harder for citizens to place subsequent initiatives on the ballot. Sure, Colorado has become a petri dish for some bizarre ideas over the years. A prime example is the creation of Denver’s Extraterrestrial Commission, which was on the 2010 ballot in Denver. Despite these weird ideas, it has been a tradition in Colorado to allow citizens access to change the Colorado constitution as they see fit. Here’s the problem with the initiatives that would restrict access to the ballot. 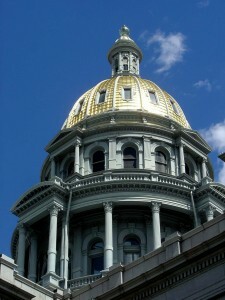 This is the first set of ballot initiatives to come out of Building a Better Colorado. It stinks to high heaven that the first set of initiatives is to restrict all ballot initiatives after 2016. We suspect that an attempt to dismantle TABOR could be one of the next ballot initiatives to come through this process. The challenge in supporting such legislation is that the Building a Better Colorado folks are asking Colorado voters to take a leap of faith that these next few ballot initiatives will not be harmful to Colorado families. That’s a big leap because the guys who are working on Building a Better Colorado are the same ones that tried to push a $1 billion tax increase on Colorado. Essentially, the hens are being asked to simply trust that the foxes will not eat them. There may be Republicans involved in this effort – even Republicans that we like and admire – but, that doesn’t make it any less of a bad deal for Colorado. Coloradans should reject this proposal because we have no idea what other ballot initiatives could appear this year that would be difficult to undo in coming years.